This entry was posted in Mah Jongg and Me and tagged dragons, mah jongg, mahjong on June 26, 2017 by Mah Jongg and Me. 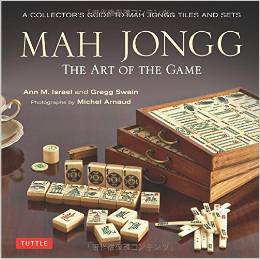 Lately I have been giving lectures about the cognitive benefits of Mah Jongg. Our beloved game is not only great fun but it is great exercise for the brain, too! 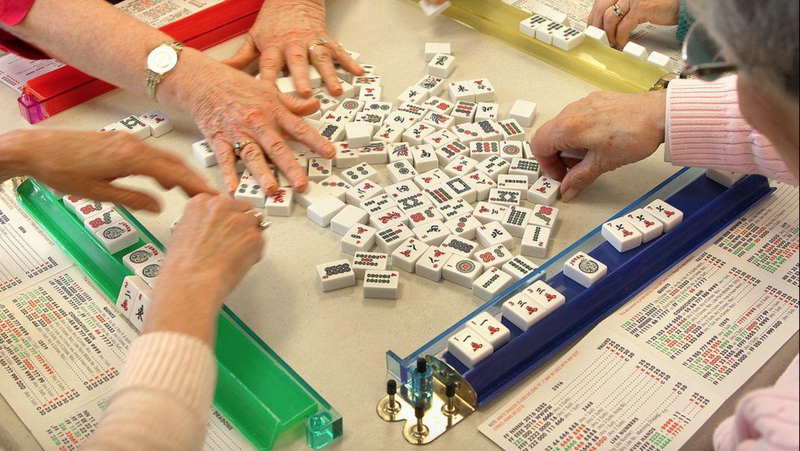 Our wonderful friend, Sandra of Gehazi Collections, found an article from this past April about the resurgence of Mah Jongg within the senior community. The article is from the Patriot Ledger out of Massachusetts and was written by Susan Scheible. A tip of the dice to these beautiful ladies! 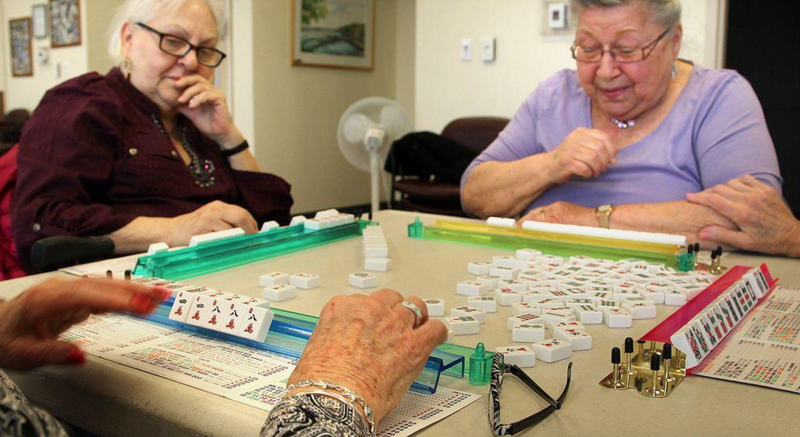 The Chinese board game of mahjongg is growing in popularity at local senior centers. “It stimulates the brain,” is a common refrain. 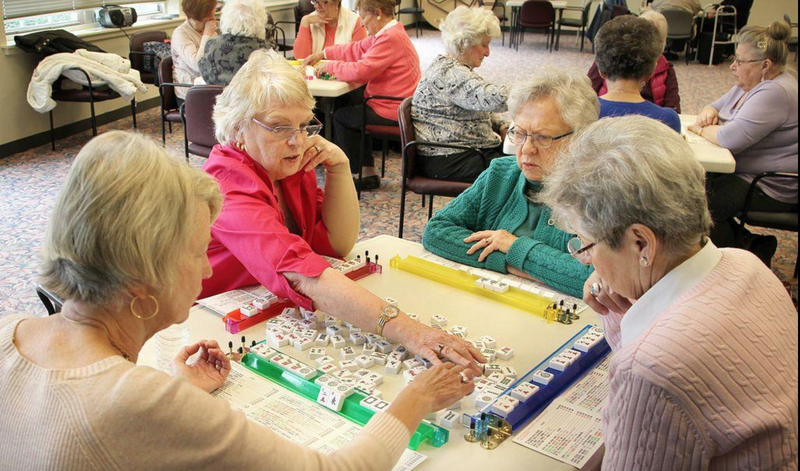 HINGHAM — Lorraine Crowell’s mahjongg moment came three years ago at a retirement community in Florida. “I discovered you can only zumba so much,” the Braintree resident said. “You have to find a sit-down activity. 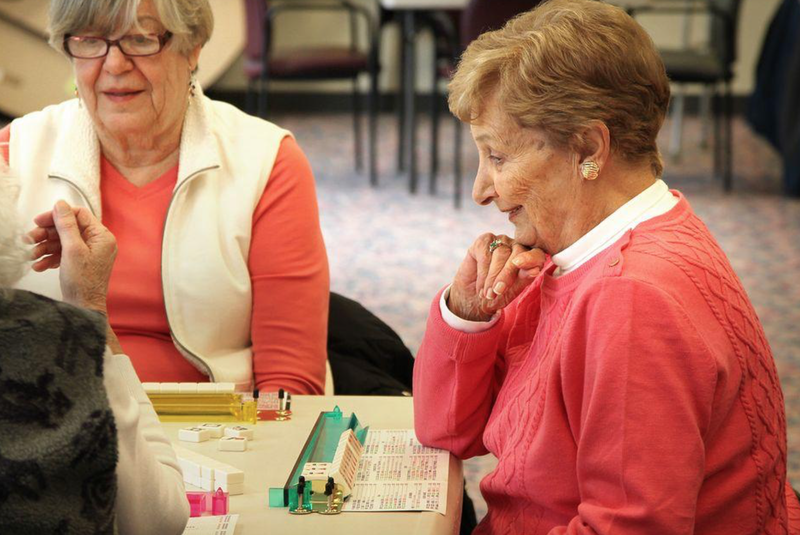 Mahjongg looked like a game that would help my brain activity and I enjoy a challenge.” She now plays twice a week in Hingham. Rickie Moriarty of Rockland was captured by the Chinese board game when a neighbor recruited her; today she teaches others. “It really uses your mind, its fun and the people are lovely,” she said. 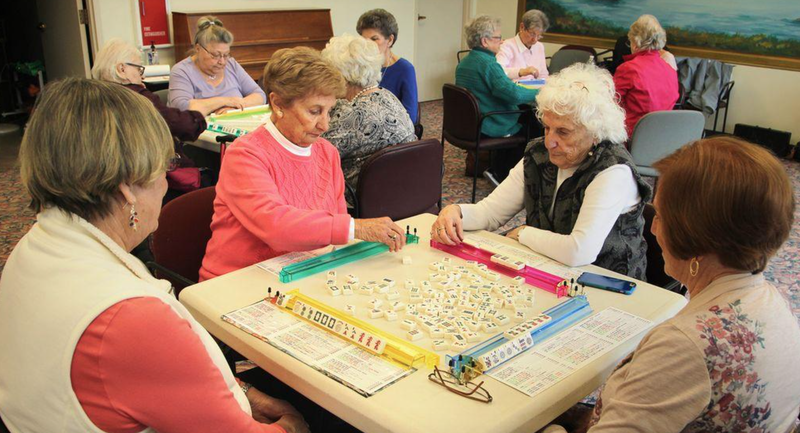 Challenging but fun, complicated but not impossible, the ancient game that uses Chinese tiles is making a comeback at local senior centers. You can find a drop-in session somewhere almost every day of the week if you are willing to travel and at the Rockland senior center, they are. 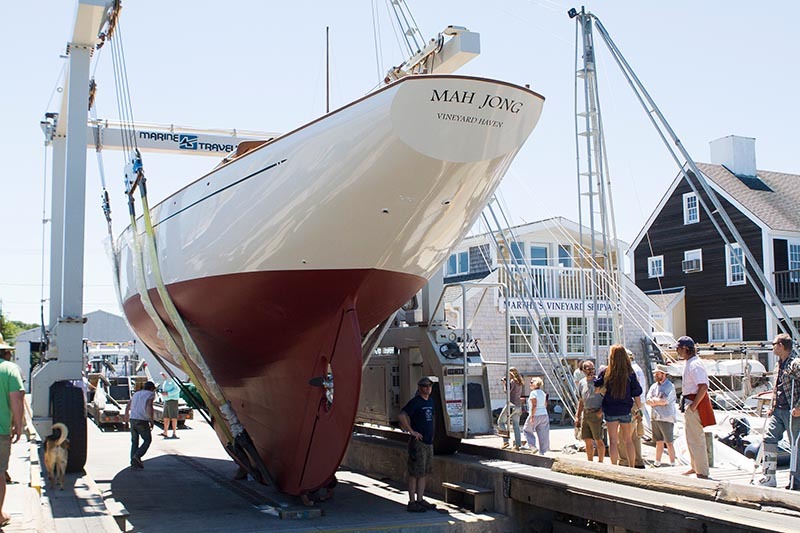 “We have people from Norwell, Abington, Weymouth, Braintree, Randolph, Stoughton, Hanover,” Moriarty said. The game of Mahjongg gained widespread popularity in the 1950s and 60s. Ballou first heard of the game in the 1960s when she was in college and living in Brookline where “everyone played it.” She always wanted to learn and in retirement, when Ponte offered lessons back in 2011, she signed up. By 2013, this social networker was organizing tournaments. A few weeks ago, I dropped by to see the Mavens in action and was intrigued as they all reached their hands together onto the tables to shuffle the sets of 144 tiles with Chinese characters and symbols. I asked them why they play. “It’s just fun to play with friends and there’s no real big gambling,” said RosaLee Goldstein of Hingham, in her 80s. For Cecilia Hanrahan of Weymouth, the concentration the game requires is a stimulating challenge. 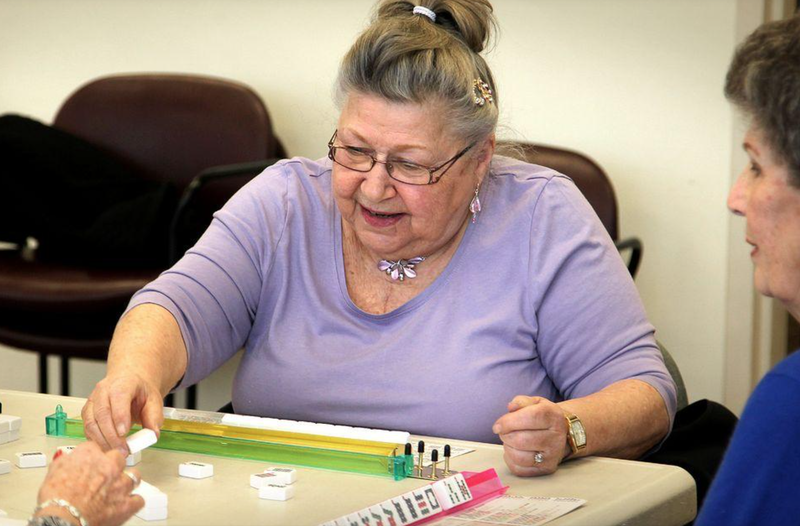 Ann Millburg of Hingham took Ponte’s beginning course twice to make sure she had the basics. A week later, I checked out the Rockland senior center where the reasons were similar and the friendships also strong. Moriarty explained that mahjongg still requires a strategy and an ability to figure out what the other players are doing. “You have to be defensive and know how to sort your tiles based on several different characteristics,” she said. “You use your brain, you really do,” said Barbara Lathrop of Braintree. Some pick up the game more easily than others but Moriarty was firm: mahjonng “is never easy.” It takes time to learn. She will sit with a new student for several sessions and then have them join a game just to experience the give and take. Reach Sue Scheible at scheible@ledger.com, 617-786-7044, or The Patriot Ledger, P.O. Box 699159, Quincy 02269-9159. Read her Good Age blog on our website. Follow her on Twitter @ sues_ledger. Sue Scheible is a staff reporter for The Patriot Ledger who writes a weekly column, A Good Age, about life after 50. In her blog, she shares extra anecdotes about the people she meets, readers’ e-mails, videos, photos and phone messages, and ideas for what to do in retirement or to prepare for retirement. This entry was posted in Mah Jongg and Me and tagged cognitive benefits, Gehazi Collections, Hingham Senior Center, mah jongg mahjong, Patriot Ledger, Susan Scheible on June 22, 2017 by Mah Jongg and Me. 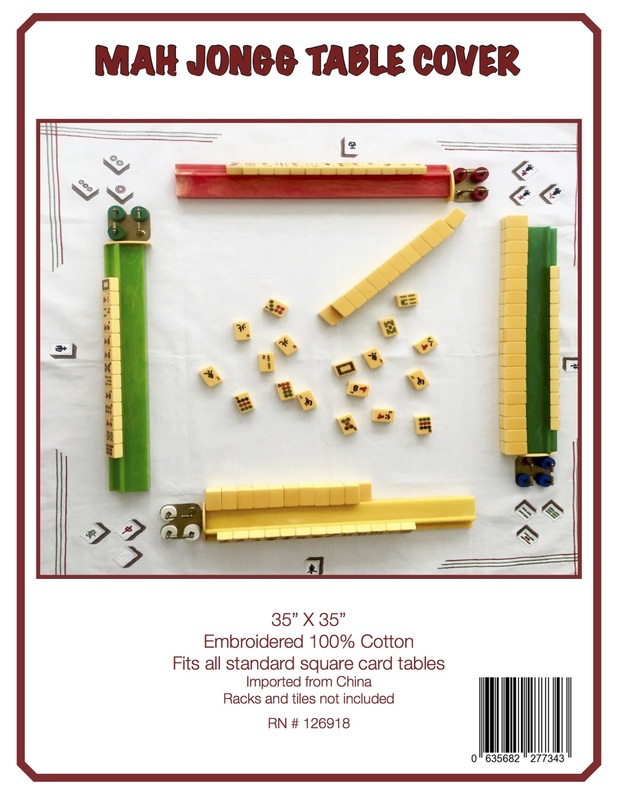 This entry was posted in Mah Jongg and Me and tagged American Mah Jongg, Hamptons Magazine, Joanna mahjong set, mah jongg, mahjong, nmjl, Ralph Lauren on June 20, 2017 by Mah Jongg and Me. Enjoy this photo and, if you are in NYC, be sure to visit the Museum of the City of New York located at 1220 5th Ave at103rd Street to see this incredible dollhouse for yourself. 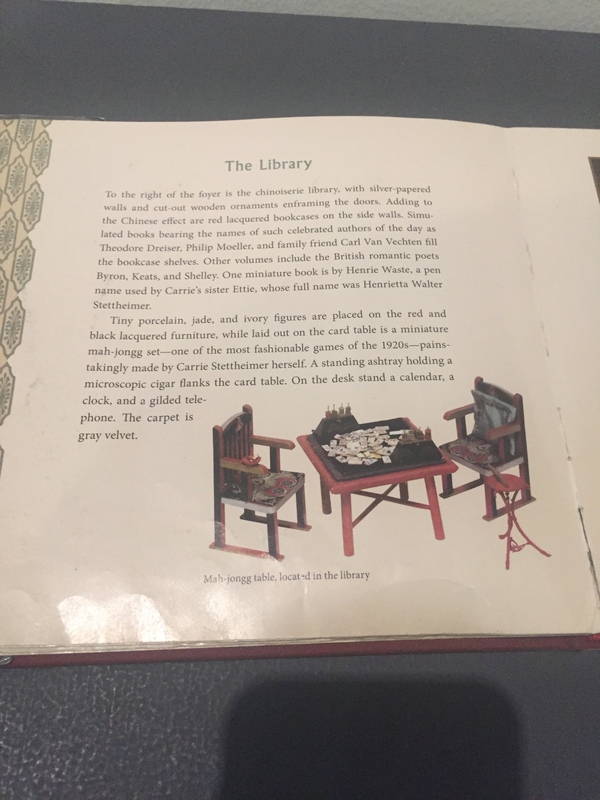 This entry was posted in Mah Jongg and Me and tagged 1920s, Carrie Stettheimer, dollhouse, Gilded Age, mah jongg, mahjong, miniature, Museum of the City of New York on June 18, 2017 by Mah Jongg and Me.